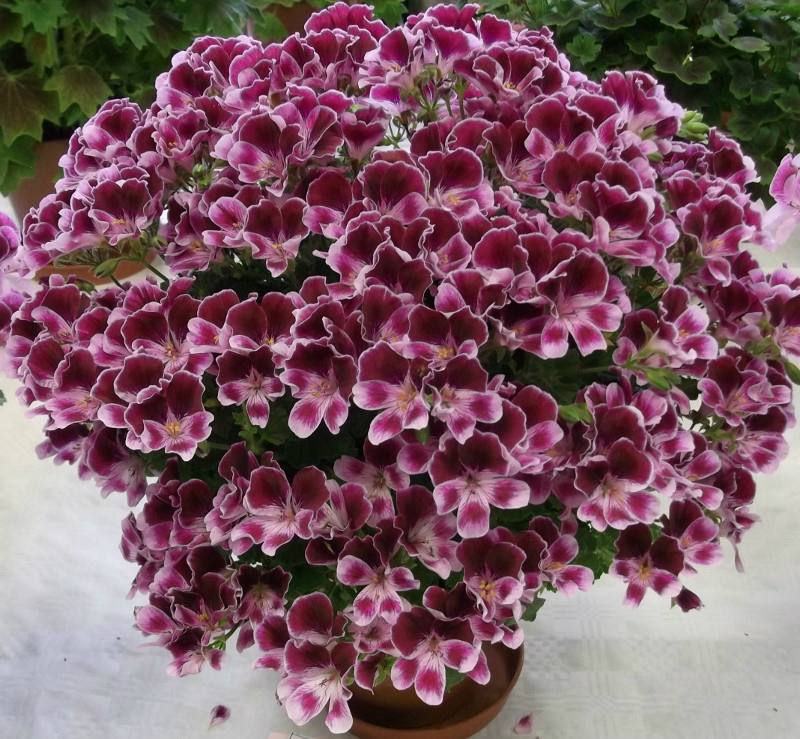 My plant of Quantock Louise which was awarded 'Best Dwarf' angel at the Yorkshire Pelargonium & Geranium Society Show 2012, venue Hunmanby. 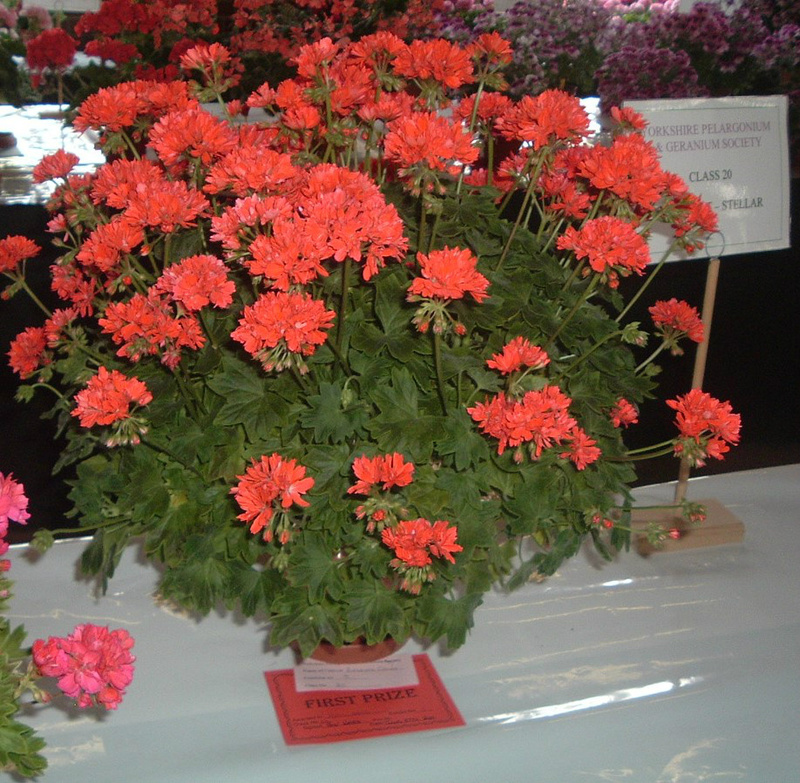 My plant of Sarah Don winning the Golden Angel class at the Yorkshire Pelargonium & Geranium Society Show in 2012. 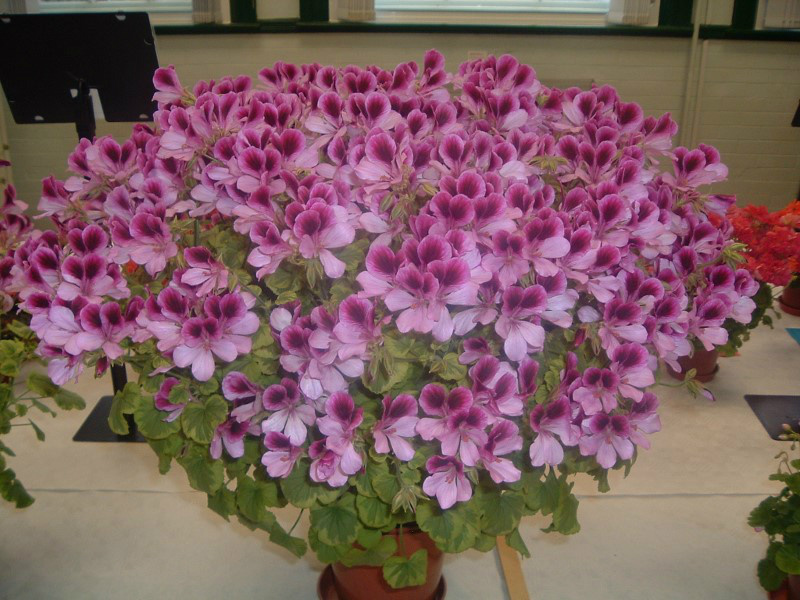 My fan of Mrs.J.C.Mappin that got 'Best in Show' at the Yorkshire Pelargonium & Geranium Society Show 2011 venue Scalby. 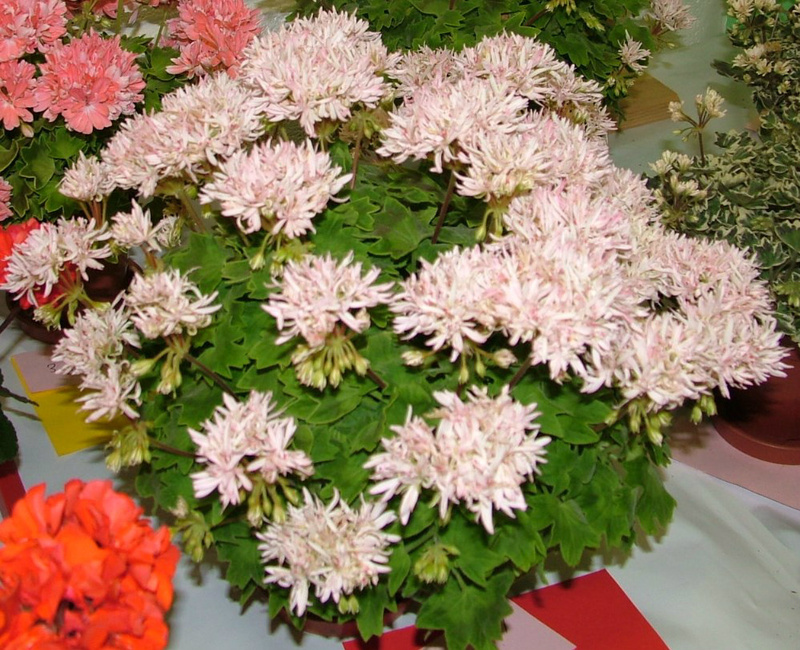 My plant of Pink Capitatum was awarded the 'Best in Show' at the PAGS National Show 2010 held at Capel Manor. 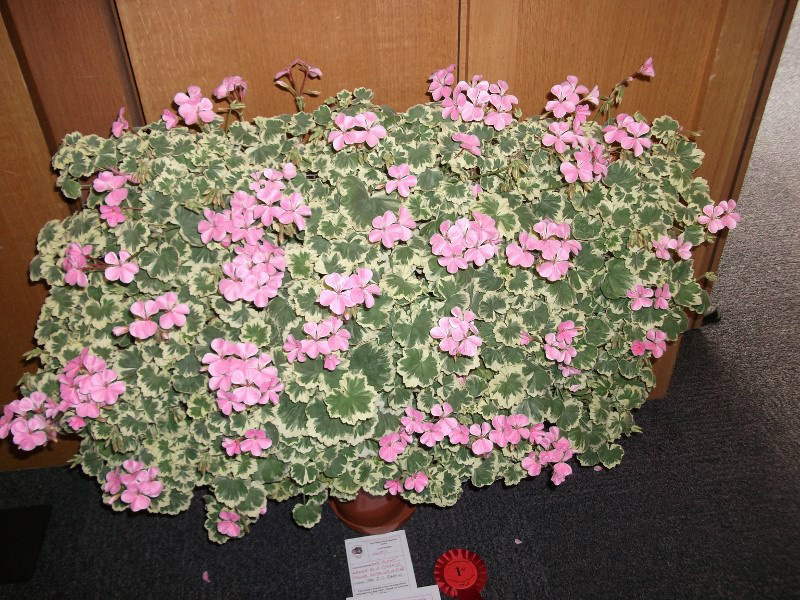 I won 'Best in Show' at the first PAGS National Show 2009 held at Hinckley with a five year old plant of Oldbury Duet. 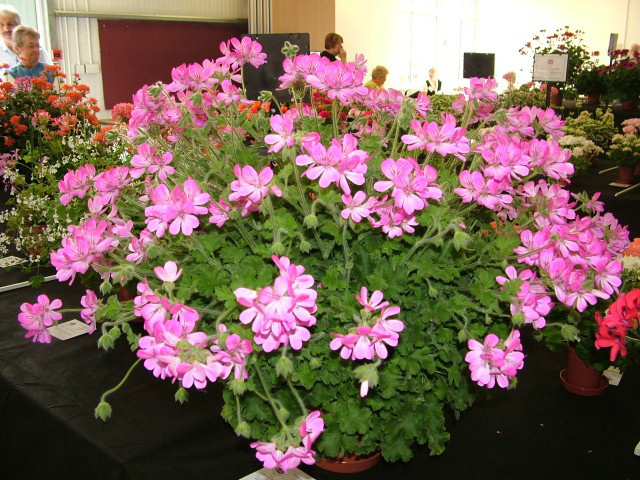 My plant of miniature stellar Scottow Sparkler, which got 'Best in Show' beating 327 entries at the Yorkshire Pelargonium & Geranium Society Show 2009 venue Crossgates. I have to say this was the best society show that I have entered for many a year. 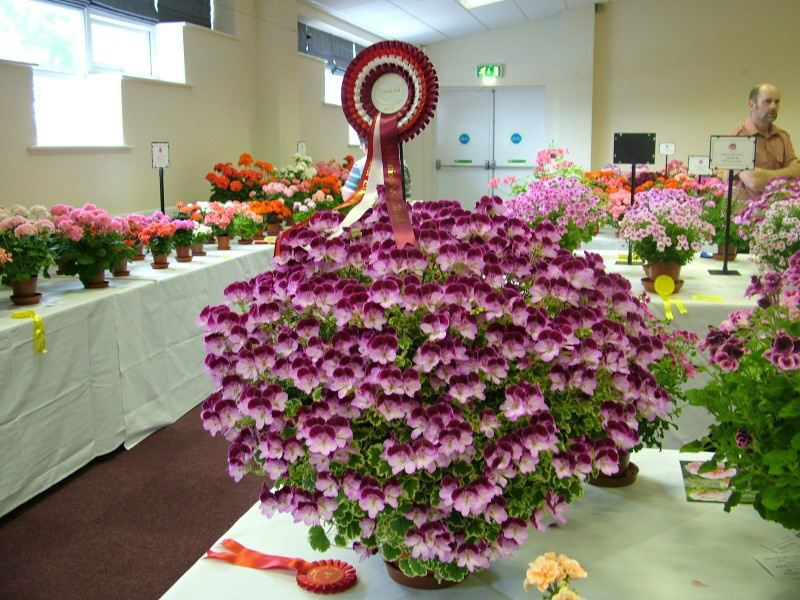 My exhibit of Stellar Birdbush Chloe which was awarded 'Best in Show' at the Yorkshire Pelargonium & Geranium Society Show 2010 venue Scalby.